This week Andy and I took a walk in the woods near our house. Since we’re in the thick of blackberry season (pun intended), I was hoping we’d find some blackberries on the wild bushes that grow on the side of the road. They were just starting to ripen. Many of them were an unripe magenta hue, and even more still remained colorless. Picking them was tricky, since the bushes were covered with thorns, and they also happened to grow along the side of a rather steep ravine. 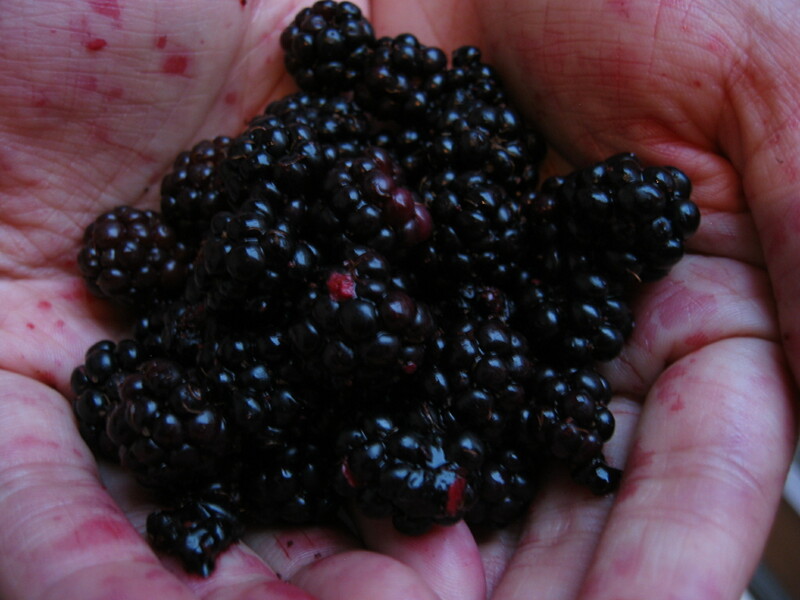 My hands were scratched and covered with berry stains, but I was able to enjoy some of the fruits of my labor. 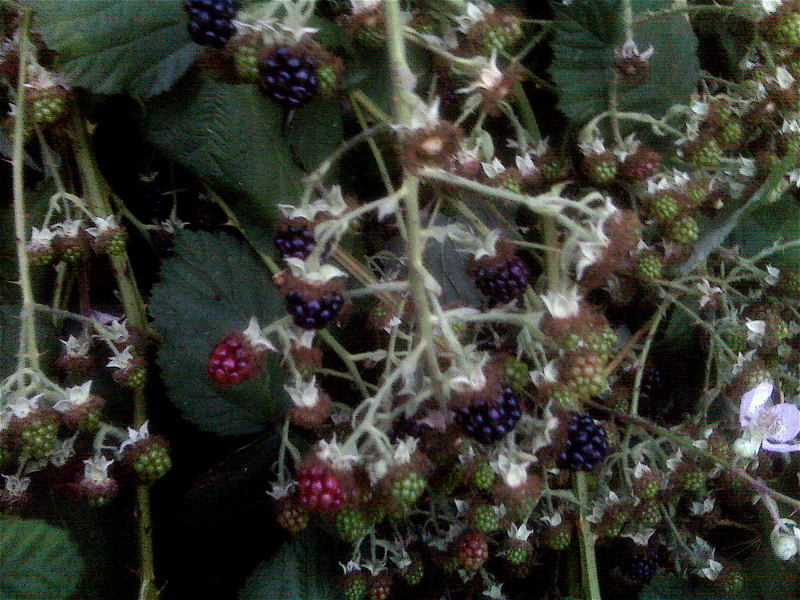 I haven’t yet decided what to do with them, but I’m pondering making blackberry crumbles. 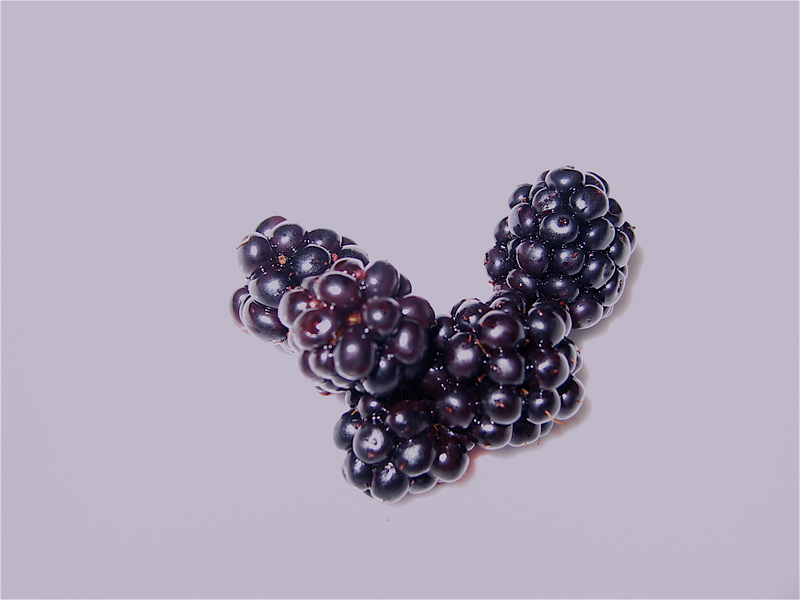 Don’t you love how blackberries can look so much like molecules?